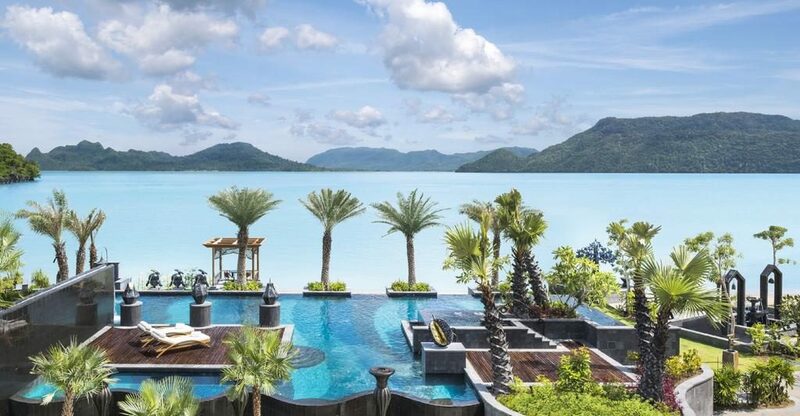 Langkawi is an archipelago of 99 islands off the west coast of Malaysia. If it sounds like paradise, that’s because it is. You get a little bit of everything here, from sparkling turquoise water to lush green jungles. In addition to the white sandy beaches, Langkawi is also rife with palm trees and delightful places to dive. To enjoy this wonderful place there are gorgeous luxury hotels to cater to your every need during your stay. This 5-star luxury hotel is found on the southern tip of the Jewel of Kedah and is the true picture of seaside paradise. 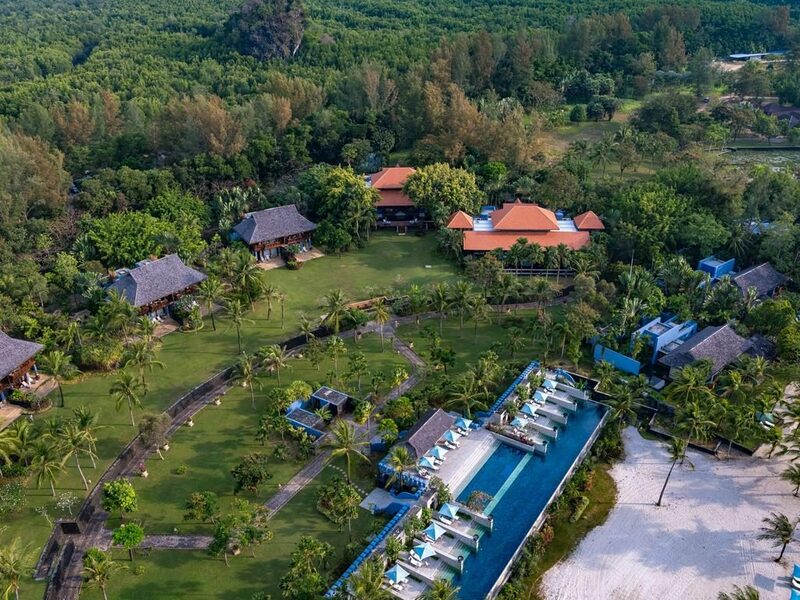 With the gorgeous flora and fauna of the rainforest on one side and the sparkling blue of the Andaman Sea on other side, this resort is one of a kind. Your sophisticated beachfront holiday is complete in any of the hotel’s 85 suites, but you can experience the island in a unique way by booking one of the four over-water villas. Premier butler service, six restaurants, an oasis like spa, and chauffeured limousine service make this opulent hotel a great choice in Langkawi. For a tropical stay that combines the luxury you crave with the ethnicity of the area, the Meritus Pelangi resort certainly delivers. 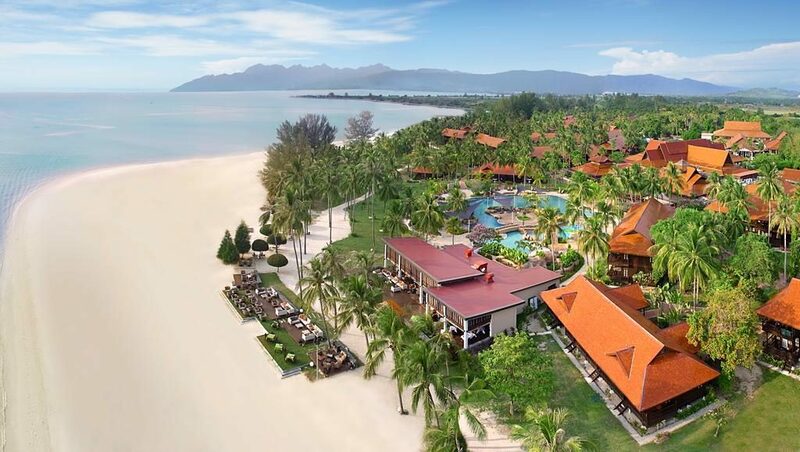 Nestled along the shores of Cenang Beach, the resort boasts a full kilometre of white sandy beach. A variety of suites and rooms each offer plush bedding, opulent amenities, and views of the lush scenery out every window. Premier dining abounds throughout the resort and you can also take advantage of an exclusive spa menu, two beautiful pools, and plenty of recreational opportunities, including biking and squash. This delight of Mediterranean architecture is located at Telega Harbour Park, giving you gorgeous access to the rainforest and the ocean in one place. The Danna has been awarded the Best Hotel in Langkawi for four years running and you can see the dedication to an opulent tropical getaway in the attention to details. That includes well outfitted suites, villas, and rooms that are comfortable and luxurious, as well as a 3-tiered infinity pool and spa. Four full service restaurants offer the utmost in fine dining, but there’s also 24-hour room service available. 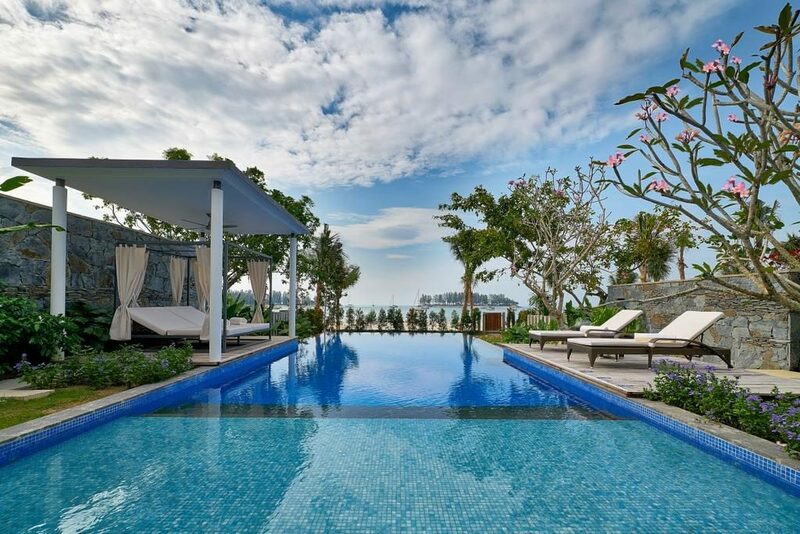 The Four Seasons brand has long been associated with luxurious holidays and the location in Langkawi doesn’t disappoint. From the dramatic limestone cliffs and rainforest views that surround the resort to the lush stretch of white sandy beaches meeting crystal blue waters, you’ll want for nothing here. There are quiet romantic villas and pavilions for couples as well as family friendly facilities for all ages. 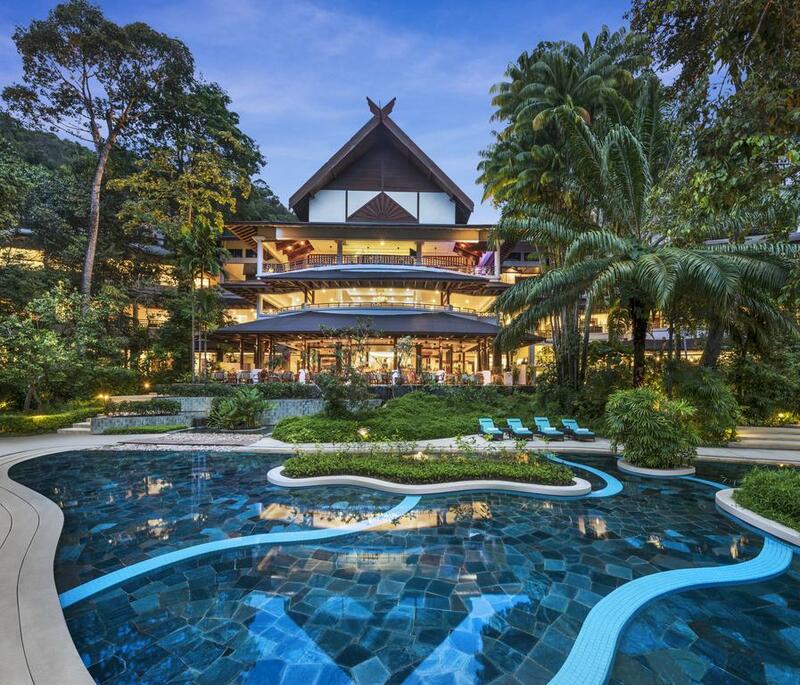 In addition to exploring the beautiful scenery, this resort also boasts in-room plunge pools, an exclusive spa, and a Malaysian restaurant to delight your taste buds. Make sure to take some time to relax in the cocktail bar as you take in everything Langkawi has to offer. Nestled between the rainforest and the tranquillity of Datai Bay, the Andaman has 178 luxurious rooms and suites, each outfitted in a contemporary Malaysian style. That means plush bedding, top of the line amenities, and lush views of both the rain forest and the water. The resort offers premier diving opportunities in the 8,000-year old coral reef that fringes the shores. The spa offers a one of a kind menu and the nature walks organised by the resort enables you to take in everything the area has to offer. Premier dining and a lovely bar round out all the perks you can take advantage of at The Andaman.